Black Ice Productions specializes in creating an enjoyable experience in booking your events entertainment. We pride ourselves on being the easiest way to plan a premier event in Northern California. If you are looking for a straight forward production company that will give you everything you want without sneaking in all the things you don't...then you've come to the right place. Limitless Consultations so that you are 100% confident in your events format. 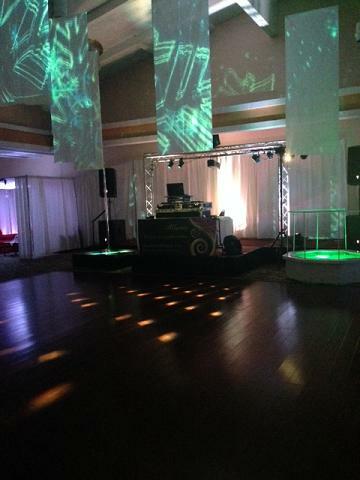 Everything from basic DJ services to complete venue transformations. Professional qualified consultants and entertainers. A production company that loves what it does! Don't hesitate to call us for a completely free conversation and consultation. We are committed to making your event everything you want it to be. Do you have a venue out of the immediate Sacramento area? We travel to most all places in Northern California. We can also supply your ala-carte event component rental needs such as a dance floor, draping, lighting, dance poles and go-go stage. Copyright 2010-2013 Black Ice Productions. All rights reserved.